Get ideas for 6th grade science fair projects. These are topics and experiments suitable for upper grade school or entry level into middle school. What types of fruits or vegetables are suitable for making a battery? Which apps run down a cell phone battery most quickly or use up a lot of data. This is a good project for making attractive graphs. How much paper is required to register for school? Can you propose a way to streamline the process to make it more environmentally friendly? Would this process save time or money? What exactly does a vacuum cleaner pick up? Use a magnifying glass or microscope to look at the contents of a bag or canister. What types of material are not picked up? Does coloring carbonated water change how its taste is perceived? How long does it take for milk to go "bad" refrigerated and unrefrigerated? What about juice? Do all crayons have the same melting points? Why or why not? Do different types of carbonated sodas have different pH? Do you think this can affect tooth decay? What types of fruits, vegetables, and flowers can be used to make pH indicator? Make some indicator solution, write up a protocol, and test home chemicals to explore the color range of your solution. Can you tell different brands of soda pop apart based on taste? Do some plants grow better inside than outside? What type of air freshener makes a school bus smell best to the greatest number of students? Which type of water contains the lowest amount of chlorine? What type of insulation holds in heat the best? Do different types of knots affect the breaking strength of a rope? Does wiping a doorknob with an antibacterial wipe really reduce the numbers of bacteria? Does using hand sanitizer really reduce the amount of bacteria on your hands? How do different flame retardants affect the flammability and burning rate of cotton? Which cooking method results in the least loss of vitamin C? Does temperature affect the maximum size you can inflate a balloon? Do the color of a crayon affect how long of a line it will write? Does changing the temperature affect how long a pen will last? Do all types of bread mold at the same rate? By the 6th grade, students should have a good understanding of the steps of the scientific method. The best science fair project ideas will be ones with a hypothesis that is tested by an experiment. Then, the student decides whether to accept or reject the hypothesis and draws a conclusion. This is also a good grade level for presenting data in graphs and charts. 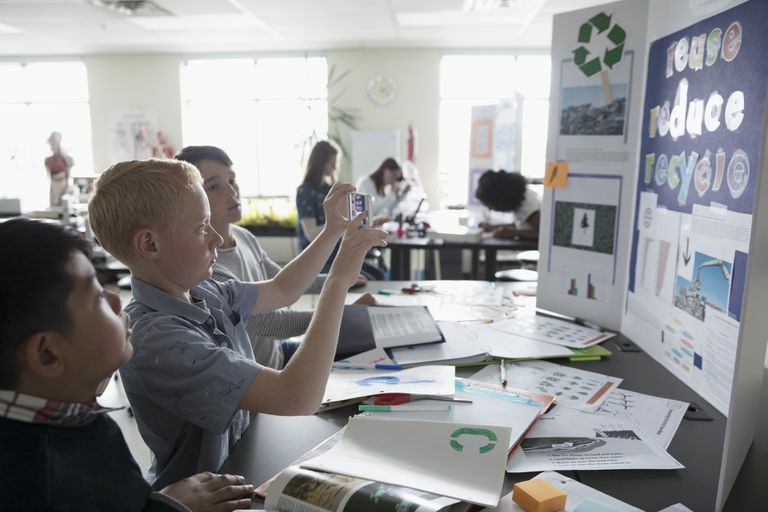 Parents and teachers need to understand 6th graders still need help with ideas, especially finding ideas that use materials that are readily available and that can be completed within the allotted time frame. One way to come up with a good idea is to look around the house and find topics a 6th grader may have questions about. Brainstorm these questions and find ones that can be written as a testable hypothesis.